The assumption that parrotfishes represent a single group of grazing herbivores is addressed by morphological, functional and ecological analyses. This assumption is rejected. The 24 scarine parrotfishes from the Great Barrier Reef, Australia, are divided into two functional groups: excavators and scrapers. The osteology and myology of the jaws of all 24 species were examined, and a detailed description of a representative species from each group is provided. The relative weights of the major jaw structures of five representative species were quantified. Morphological differences between species were interpreted in a functional context and were assessed based on observations of feeding in the field. Species in the two functional groups show major group-related differences in their bite speeds, microhabitat utilization patterns, and form and extent of substratum excavation during grazing. Group-related differences are also apparent in feeding rates, foray sizes and bite rates. The division of the species into two functional groups is supported by both morphological and behavioural observations. 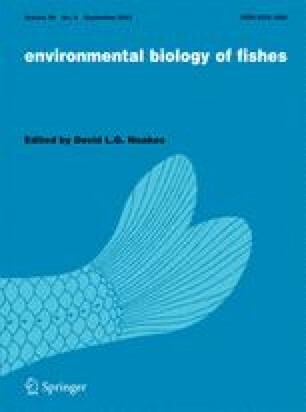 The ecological significance of two functional groups within the family is discussed in relation to the role of parrotfishes on reefs, particularly in terms of bioerosion.